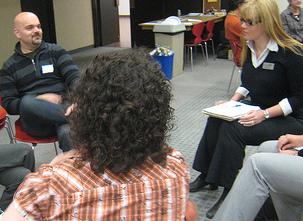 A ChangeCamp event is a creative face-to-face gathering that is citizen-led, non-partisan and social web enabled. ChangeCamps are designed to bring together citizens to answer a given questions through an unconference format. 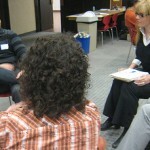 Since the first ChangeCamp in Toronto in January 2009, there have been several similar events held across Canada. On Saturday May 8th, 40 members of the Windsor-Essex community gathered at the held at the Central Branch of the Windsor Public Library to answer this question, How can we re-imagine Windsor-Essex as a stronger and more vibrant community? WEChangeCamp was organized by myself, Nicole Noel, Art Rhyno, and Jean Foster.